Reader’s Choice… What’s the BEST Custom 1911? Hopefully, everyone has made it through Thanksgiving, had a delightful self-induced food coma, and re-emerged with renewed vigor for firearms and Christmas wish lists at the ready! 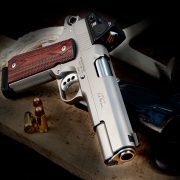 If you fancy yourself an affectionate lover of the 1911, what would be your dream custom 1911? 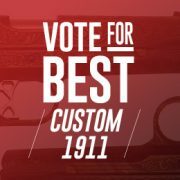 There are many gorgeous, intricate, and masterfully designed models out on […] Read More … The post Reader’s Choice… What’s the BEST Custom 1911? appeared first on The Firearm Blog. 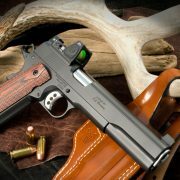 Riding the success with their Retro Rifles line, Brownells has partnered with Ed Brown to add their first handgun in the lineup: the BRN-1911, a .45 ACP semi-automatic pistol. Hand crafted by legendary 1911 maker Ed Brown exclusively for Brownells, the BRN-1911 is a two-tone handgun intended to replicate the look, feel, and performance of custom […] Read More … The post Brownells Adds Ed Brown 1911 to Retro Line appeared first on The Firearm Blog. Brownells is continuing to expand its Retro series with the addition of a 1911 pistol recalling the style of classic 1980s custom 1911s. Teaming up with Ed Brown, Brownells is adding its first pistol to their Retro range. The two-tone BRN-1911 is being produced by Ed Brown. Brownells note that the pistol ties into their […] Read More … The post Brownells Introduce Retro Range ‘Custom’ 1911 appeared first on The Firearm Blog. 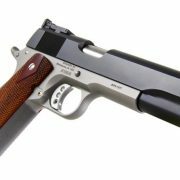 Ed Brown has added a new 1911 grip pattern to their line of grips. 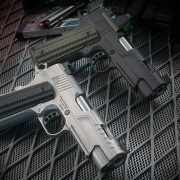 News about new 1911 grips doesn’t seem to be something significant enough to write an article about, but the new Ed Brow Labyrinth series of grips look so beautiful that I thought I should share it with our readers. 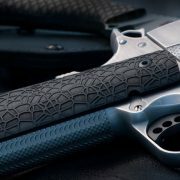 Ed Brown Labyrinth grips come […] Read More … The post New Ed Brown LABYRINTH 1911 Grips appeared first on The Firearm Blog. 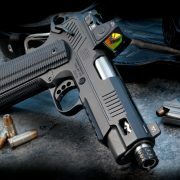 Ed Brown has announced the addition of the new Executive Commander pistol to their Elite series of custom 1911 pistols. The company has also updated the Kobra Carry pistol. Let’s take a quick look at each of these handguns. Ed Brown Executive Commander: As Ed Brown describes it, the Executive Commander is essentially the commander […] Read More … The post NEW: Ed Brown Executive Commander and Updated Kobra Carry appeared first on The Firearm Blog. 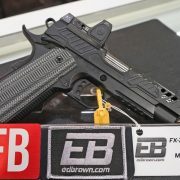 Ed Brown Products, Inc. announced the company is now manufacturing a new 9mm 1911-style pistol called the FX1. 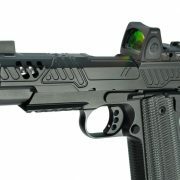 According to the company, the FX1 is the company’s “most cutting-edge and innovative 9mm [pistol] to date.” This new pistol uses a Government sized frame with a Commander length slide. The barrel is 4.25″ long, and the […] Read More … The post Ed Brown FX1 9mm Pistol appeared first on The Firearm Blog. Ed Brown Products will celebrate its 50th anniversary of being in business in 2018. The company is gearing up for a year long party, and part of its celebration will be the release of a new gun called the 2018 Executive Target. The 2018 Executive Target is a 1911 style pistol, as if there would be […] Read More … The post The 2018 Executive Target 1911 from Ed Brown Products appeared first on The Firearm Blog. 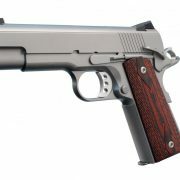 Ed Brown Products recently announced the addition of a Commander to its already impressive line of 1911 style pistols. The new gun is called the CCO LW. The company describes the CCO LW as “the ultimate carry gun” in part because it is the smallest and lightest 1911 style pistol the company has made in […] Read More … The post Ed Brown Announces New Lightweight Commander 1911 appeared first on The Firearm Blog. Perhaps one of my few complaints about true custom builders is that they have their own custom way of doing things. Having worked with some before, they have typically had their quirky way of putting in a custom order – one that if you are not patient can be entirely frustrating. 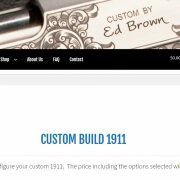 Fortunately, the custom builders […] Read More … The post Ed Brown Offers Custom 1911 Builder appeared first on The Firearm Blog. 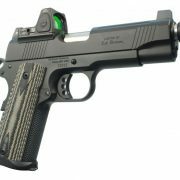 Paging Ted Nugent, there’s a new 10mm in town: New from Ed Brown Products, the custom 1911 manufacturers, is the LS10 long-slide 10mm. Equipped with a 3.25 MOA Trijicon RMR and tall trijicon night sights, this 43oz powerhouse can take advantage of heavier 10mm loads due to the 6″ barrel. Paired with some Cor-Bon […] Read More … The post New: Ed Brown Announces the LS10, Long-Slide RMR Equipped 10mm Hunting Handgun appeared first on The Firearm Blog. 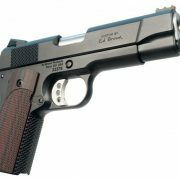 Ed Brown Products Inc. announced the latest 1911 style pistol called the Special Forces SR Commander. This new Commander type handgun is part of the company’s Special Forces SR line up. The new gun uses a full size grip with a barrel and slide shortened to 4.25″. Even so, the barrel is threaded for a […] Read More … The post Special Forces SR Commander from Ed Brown appeared first on The Firearm Blog.